Providing you the best range of smoky quartz beads, smoky quartz gemstone, faceted spinel gemstone, gemstone briolettes, chrysocolla stone and citrine stone with effective & timely delivery. We are remarkable entity, engaged in manufacturing, exporting, importing and supplying of superior assortment of Smoky Quartz Beads. 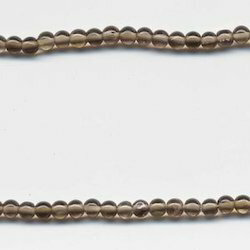 The offered smoky quartz bead is best to give an attracting look to the ornaments. 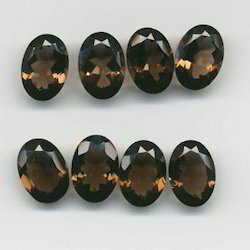 Our smoky quartz bead is available in all popular sizes, cuts and qualities as per the requirements of the customers. Also, this smoky quartz bead is finished at our state-of-the-art development unit using advance tools following the set norms of industry. With years of experience and expertise in this domain, we have emerged as an affluent manufacturer, exporter, importer and supplier of Smoky Quartz Gemstone. Our quartz gemstones have a magnificent appearance that lends a royal look to any jewellery where they are used. In addition, offered quartz gemstones are quality tested on several parameters by quality controllers in order to supply a defect free range to customers. We are giving these quartz gemstones on numerous customized options so as to meet the needs of clients. Looking for Smoky Quartz ?